He will spend five days at the club - who play in the Spanish División de Honor Plata - and get to see his potential new team mates play their last game of the season. The trial is a terrific opportunity for Stephen, a local Warrington lad, who has been playing handball since 2007. He has represented England and GB at under-16, under-18, under-21 and senior level. He was recently selected for the under-24 GB squad that will compete in the IHF Emerging Nations tournament in Bulgaria in June. Stephen has benefitted from the development ethos at Wolves. The club has partnerships with FC Barcelona and Flensburg which has helped players develop. It is hoping to build on this network to offer opportunities to others. Stephen said: "I have represented Wolves (formally Salford handball club) for seven years now. “When I was younger I thought about going to Aarhus in Denmark. However Bill (Baillie) asked me to consider my education and get that out of the way first. “It is a great honour to be invited to go to Spain and trial for Alarcos Ciudad Real Handball team. “I would like to thank them for giving me the opportunity. 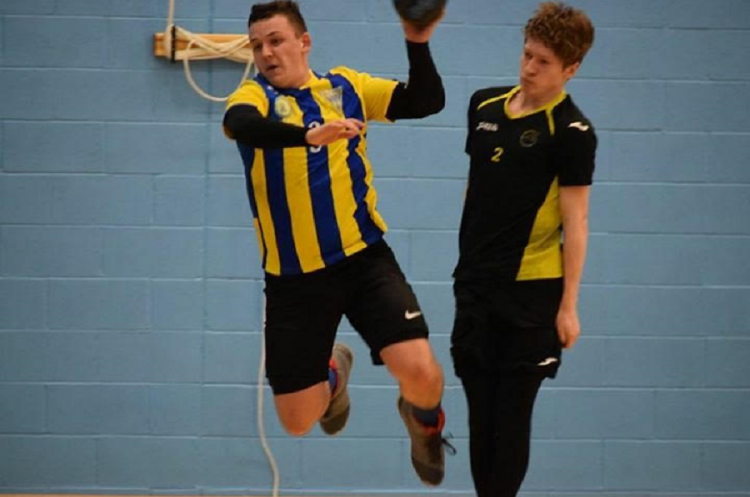 I would also like to thank Bill and Warrington Wolves handball club for helping me to develop and play in the one of the best teams in the country." Bill Baillie, Head Coach at Warrington said: "This is a great opportunity for Ste and is testimony to his hard work and attitude. “We are pleased he put trust in the club and me as his coach, to help get him to this position. “This is only the beginning for players from our club, with five players off to Flensburg in late July. We will continue to open doors for the players who want to put the work in. The rest is down to them."